Are you ready to see your daughter’s dreams take flight? American Heritage Girls allows girls to experience new challenges, serve others, make new friends, and have fun – all in a safe, faith-filled environment. Whether your daughter wants to learn more about aviation, learn to paddle a canoe, or ice the prefect cake, AHG’s program is ready to inspire her to new heights. Start her adventure today! 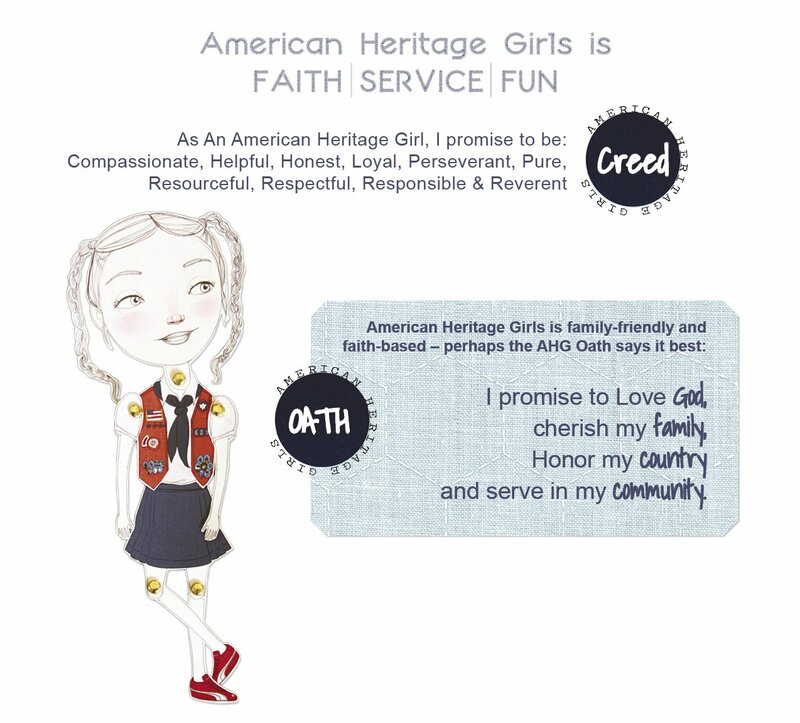 Our American Heritage Girls troop is open to girls age 5-18.